The toughest part about Guided Reading is always asking myself "Okay, so what am I going to do at my teacher table during Guided Reading?" 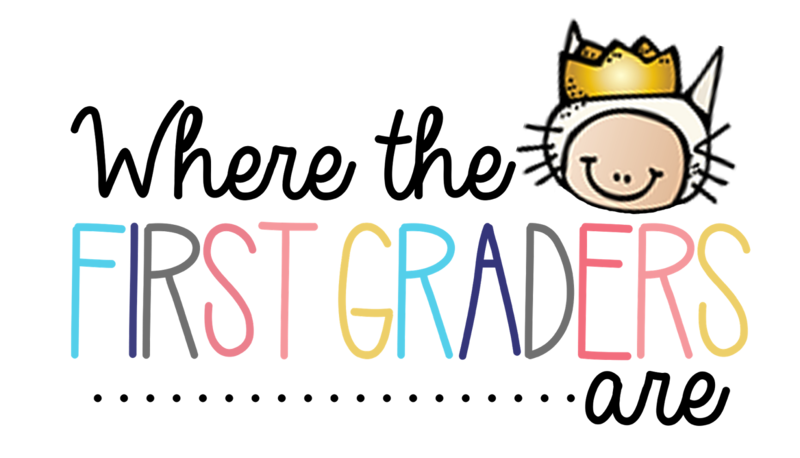 I'm not a huge fan of worksheets during this time, so I've come up with a few worksheet free ideas to help your little readers master inflectional endings. I should start by saying I am by no means a Guided Reading expert. Any tips that I have are things I have picked up over the last few years from workshops, books etc. 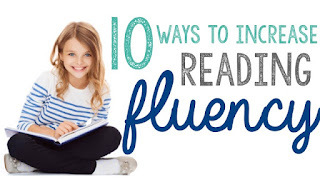 With that said, one of the things that I heard over and over is that in order for students to really master any phonics skill, they need to be identifying those words in a text that is on their level. When we are all ready, I have students identify words in their text that have inflectional endings. Once they find a word, they write the word on a flashcard. Then students fold their flashcard where the base word and the ending meet. 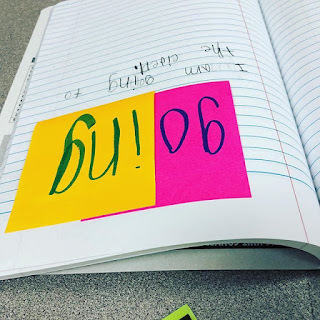 I model for the students how to say the base word on its own, then open the card and read the base word with the ending. My goal is that students are able to visualize this same concept when they are independently reading. When we are done writing and reading our flashcards, each student gets their own ziploc bag to store them in. I keep the flashcards for one to two weeks for extra practice after the students finish reading their books. When we are done with them at school, I send them home for extra practice at home. Plus, the kids are always so proud to take them home and show their parents what they made at school. 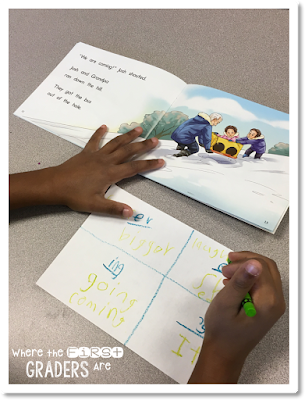 Once the students are really comfortable identifying and reading words with inflectional endings, you can assess what they have learned with a simple piece of scratch paper. I show the students how to split the paper into four boxes and show them which headings to write. Then, students have to read through their text to find and write all of the inflectional ending words. This is such an easy and simple way to assess if your students have mastered this skill or not. 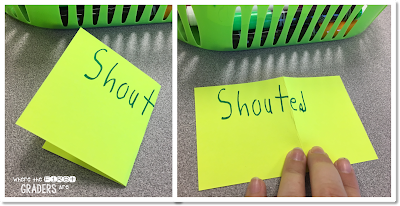 To increase the rigor, you can simply give them scratch paper and have them create their own way to organize their words. 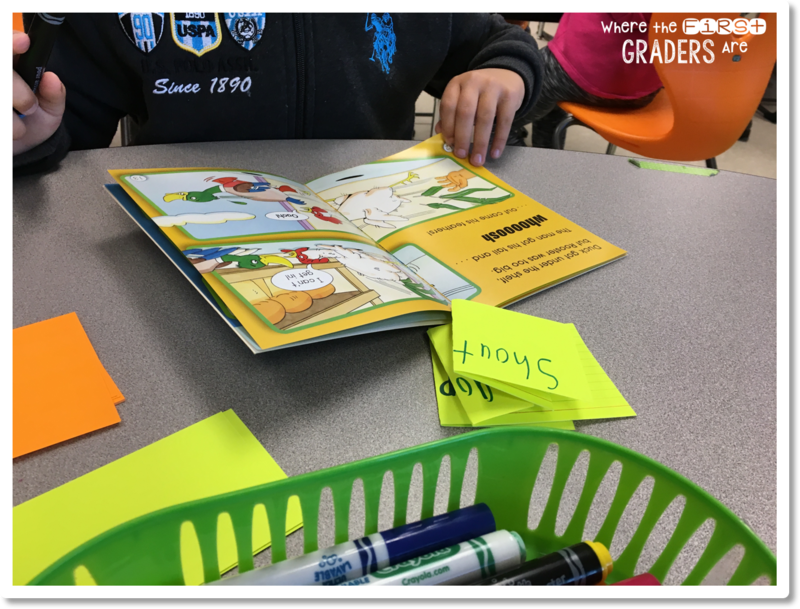 This is another super easy activity where we start with one post it note where we write our base word. We talk about what the word looks like, means and how to use it. Then, we add a second post it note with the inflectional ending. We talk about what the word looks like now, what it means and how to use it with the new ending. 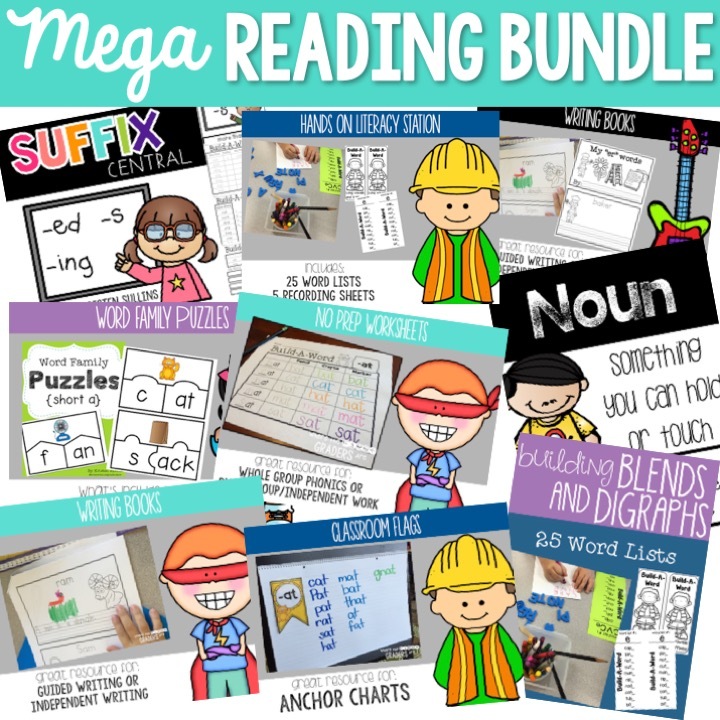 What I like best about this activity is that it provides the perfect opportunity to talk about how to "chunk" words with inflectional endings while students are reading these words in a text. 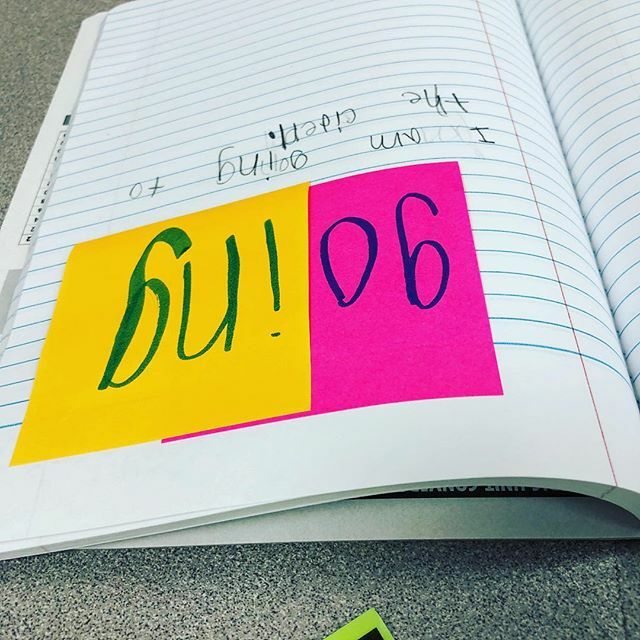 By using the two different colors, students are able to visually see how/where to chunk the word. 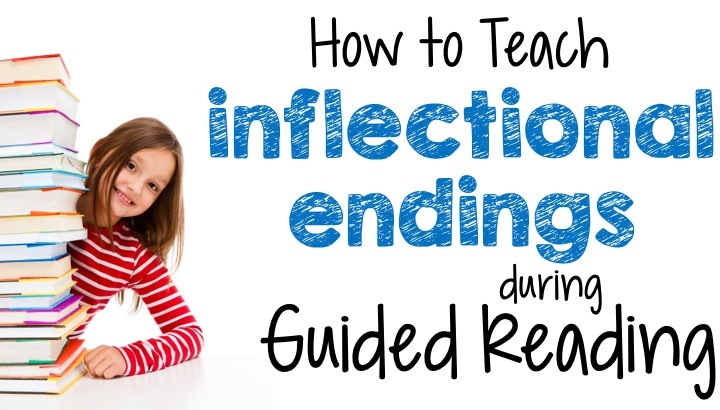 Need more Guided Reading ideas?